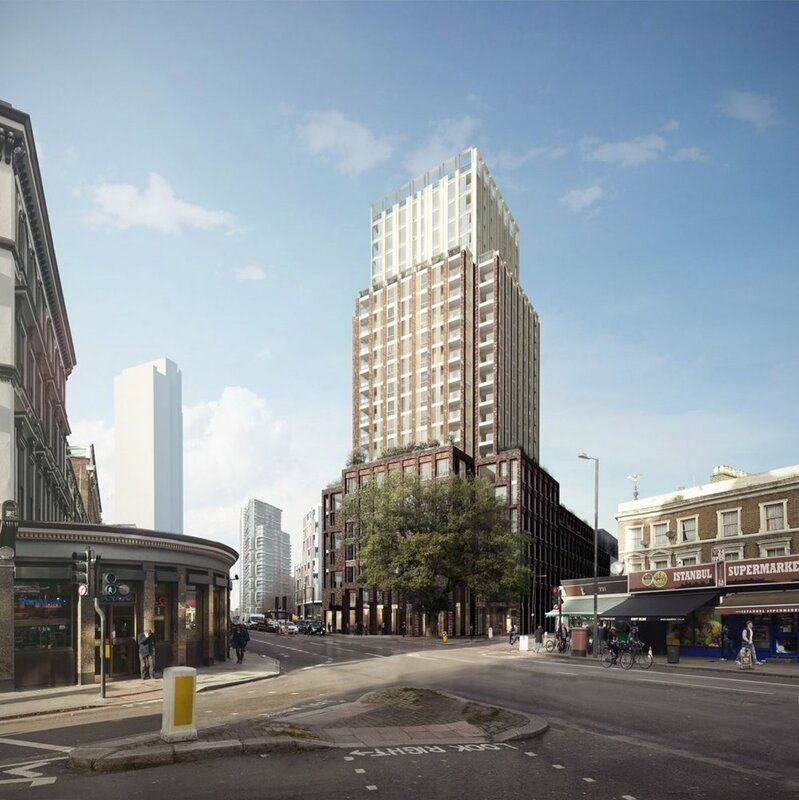 Large mixed-use complex with Office and PRS Apartments in new Silicon Roundabout area of London. DSA provided the complete M+E design for this 38,500m² mixed-use complex with office spaces, PRS residential apartments, and Ground Floor Retail areas. The design incorperates a Ground Source Heat Pump and a small CHP plant to provide 50 percent carbon savings over the Part L criteria. Completion is expected in 2020.